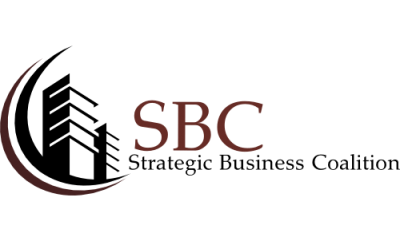 The Strategic Business Coalition (SBC) is based out of Tacoma Washington and provides a wide range of business services that reduce taxes, audit various cost centers, and drive revenue directly to the bottom line. We offer these services to companies across the United States. SBC, through its strategic alliance with Integrity Business Solutions Provider LLC and Growth Management Group (GMG) and the STRYDE platform can offer programs that reduce taxes and overhead for almost any business. By expending our time and energy to demonstrate our capacities through comprehensive studies and proposals (and associated guarantees) prior to there being any cost or obligation on the part of the client, we are expressing the confidence we have in ourselves by putting our money where our mouth is. Through our combined services and platforms, we have saved the business owners we serve, hundreds of millions of dollars and have done so at no risk to them. Our industry leading growth and success is the result of the superiority of our approach with prospective clients, wherein we put the needs/interests of those clients ahead of any interests of our own. Our mission is to provide the markets we serve with the most advanced and sophisticated cost mitigation, recovery, consulting, lending and management platforms available today. Many business service industries across the country are experiencing a degree of commoditization. What is meant by this is that there is less “brand loyalty” than ever before. With the explosion of sophisticated services offered online and or through chain firms, providers in industries such as tax, law and insurance have found themselves struggling in the areas client retention and acquisition. All are working harder than ever before to simply maintain status quo. Through our platforms and approaches, professionals in these and other industries are able to immediately differentiate themselves from all of the competition in their local geography thereby eliminating client retention issues and drastically increasing client acquisition numbers, all while spending less energy and money to do so. Through our platform, participating advisors, firms and practices are able to catapult themselves past all competitors in their respective fields through the differentiation and service superiority that they realize by virtue of their work with our firm. Our job is to make you the preeminent practice in your respective field – our success proves that we are very good at our job. Growth Management Group’s Specialized Tax Group has helped it’s clients find $500M in benefits through Specialized Tax Incentives. Formed in 2004 GMG’s slogan “Your Growth Is Our Business” is more then just a mantra, it’s a way of doing business. Our entire purpose is to help our clients grow, by creating economic stability and growth nationally through available programs that build business revenues thus creating jobs. With over 500 team members in 40 different states, we stay on the cutting edge of available programs and serve in a wide array of industries. GMG has produced savings for a wide range of businesses including, Toyota, Westinghouse, Hyatt Hotels, CAT, Arkansas Funeral Directors Association, as well as, manufacturers, attorneys, physicians, and almost every other segment of the business world. After doing thousands of audits we have become the premier go to company for our services. With over 500 team members in 40 states, we can handle any US based project including large multiple location projects. National team of Advisers that can provide an onsite free consultation. *GMG is a wholly owned subsidiary of Integrity Business Solutions Provider.